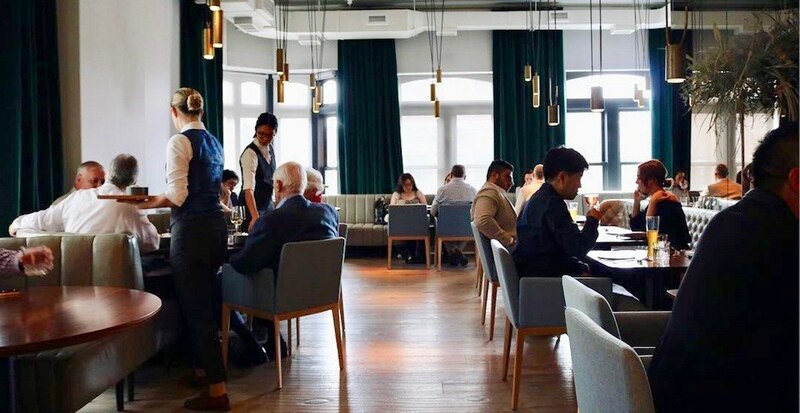 Canada’s 100 Best Restaurants just unveiled their comprehensive list of the 100 best spots to dine across the country. And for the third year in a row, Toronto’s Alo Restaurant has taken the top spot. If you’ve been looking for a sign that it’s time to take the plunge and make a reservation, this is it. The French restaurant and cocktail bar pairs seasonal ingredients with a contemporary vibe, offering blind, multi-course tasting menus paired with distinctive wines. The bar room accepts walk-ins, and there you can enjoy cocktails and a sharing-style, à la carte menu consisting of seafood, meat-based entrées, vegetable-focused sides, and desserts. Bookings for the dining room open two months at a time and can only be made through this website. The two different dining experiences, the Dining Room and the Kitchen Counter, are priced at $135 and $165 respectively, with the option of adding wine pairings. Bookings for May and June opened on Tuesday, April 2 and are already completely full for pairs and groups. There are still a few openings left if you’re keen on a solo dinner date. Which honestly sounds like the ultimate act of self-love.